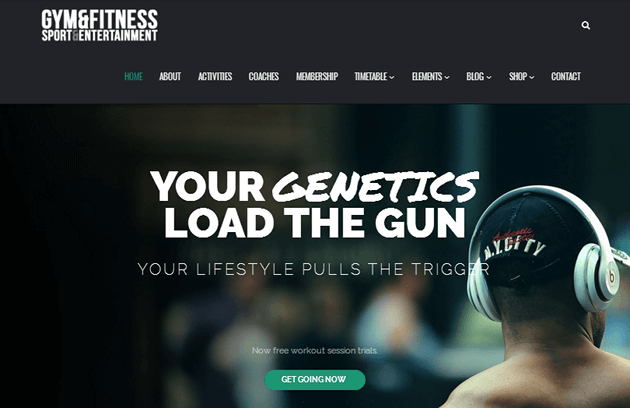 Crossfit themes are a niche in the gym and fitness WordPress theme category, but they aren’t much different to the majority of the themes in this category. The only difference is crossfit tends to be offered as entire gyms or classes while the gym and fitness industry in general is a lot more expansive than that. Crossfit themes need a specific set of features because of this, which is why you’ll see many similarities in the themes listed in this collection. Let’s talk about some of the top features you’ll see in this collection before we jump into it. A homepage layout optimized for business. An event and schedule function. Let’s start with a homepage layout optimized for business that has a customizable design. Design is important, but it’s meaningless without purpose. If you own a crossfit gym or teach classes, your website’s purpose needs to be getting people into your gym or class. Your homepage should showcase your business’ services, classes, schedule, events and even things like your latest blog posts and your gym’s trainers. You should also be able to customize it to suit your business. Functions for events, scheduling and booking are features your business may be interested in. For example, an event function allows you to showcase upcoming classes to potential customers while a booking feature allows them to purchase admission for those classes. Custom post types are another feature you may be interested in, specifically post types for trainers and different types of exercises or classes. These can make it easy for you to build a collection of pages that showcase different sets of the same type of information. There are a few additional features you may be interested in, such as a BMI calculator for customers to use, a Google Maps feature to showcase where your gym is located, and even custom widgets and shortcodes to add a number of different functions. Many of the themes in this collection come with all of these features and more, and some feature just enough to be powerful crossfit themes. 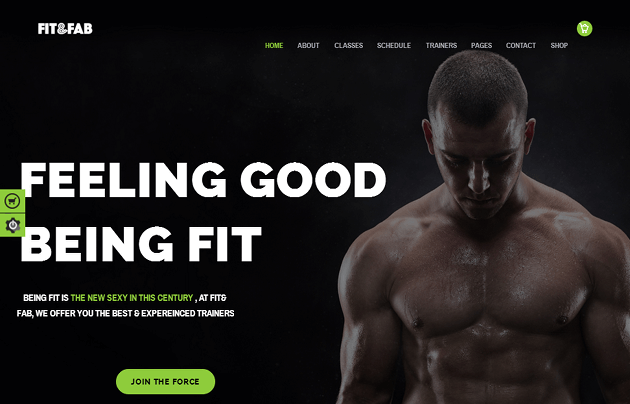 TopFit is a multipurpose gym and fitness theme that uses a modern design and sleek styles. It comes with multiple homepage demos, many of which are ideal for crossfit gyms and clubs. 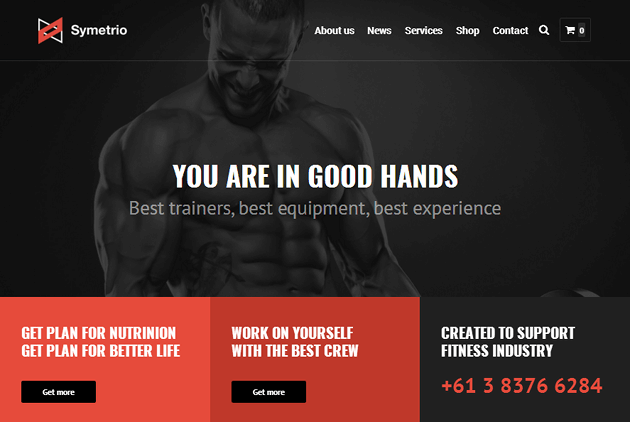 Symetrio is a multipurpose theme for the sports and fitness industry. It comes with a number of different homepage demos, including its main demo that allows you to showcase nearly every aspect of your gym. Sport Center is a fully-fledged gym and fitness theme that allows you to showcase several elements on the homepage. This includes your services, trainers, gallery, products, a BMI calculator and more. 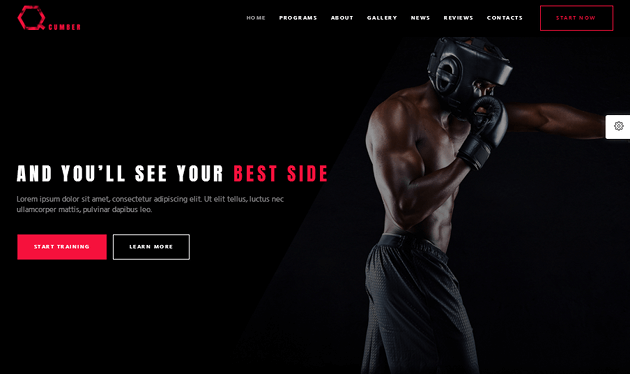 Sport is a multipurpose WordPress theme capable of being used to build a variety of different websites in the fitness industry. This includes a business website for a gym or even a landing page for a personal trainer. 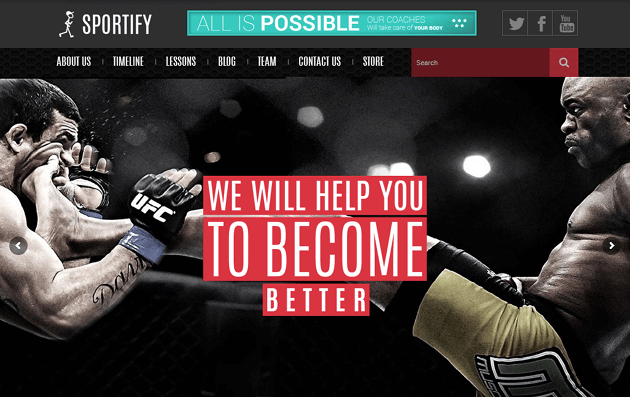 Forty is a multipurpose fitness theme that can be used by any gym or fitness business that offers classes. It comes with fully-fledged landing pages complete with services, pricing tables and more. 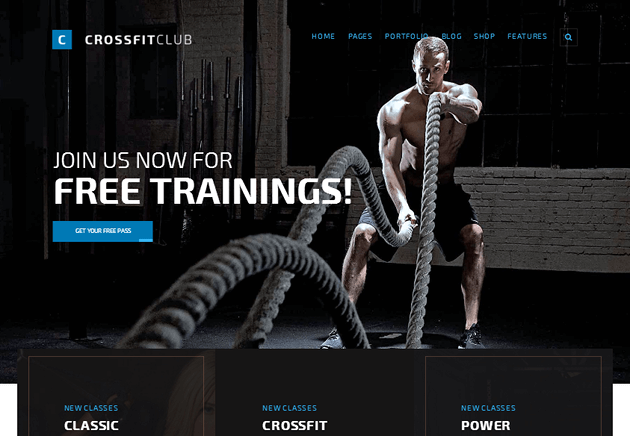 FightClub is an expansive multipurpose fitness theme that comes with numerous homepage demos, one of which is built for crossfit. This demo allows you to showcase your services, products, pricing and more. 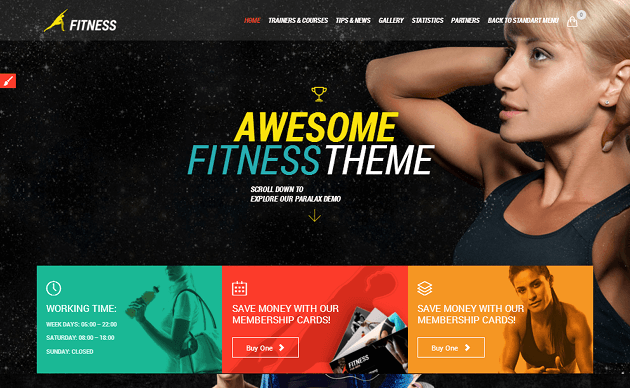 Fit & Fab is a multipurpose gym and fitness theme designed for professional businesses. It comes with four homepage layouts, each of which allows you to showcase your gym’s services, classes and more. Fitpress is a modern fitness theme that comes with a single yet sleek and modern design. It allows you to showcase important information about your business, such as the classes you teach as well as the trainers who instruct them. 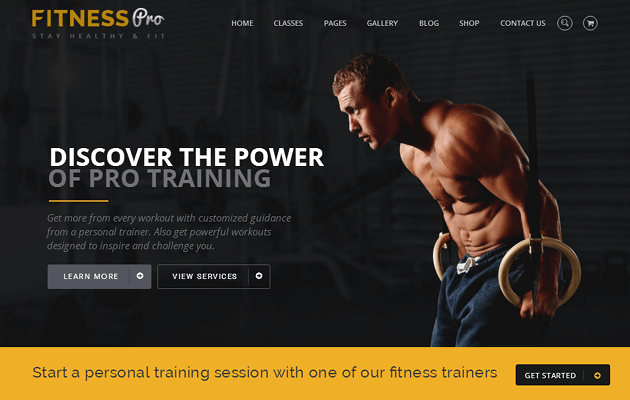 Fitness Pro uses a flat design and a business-oriented homepage layout. It features sections for your classes, pricing, coaches, blog posts and more. It also comes with multiple calls to action. 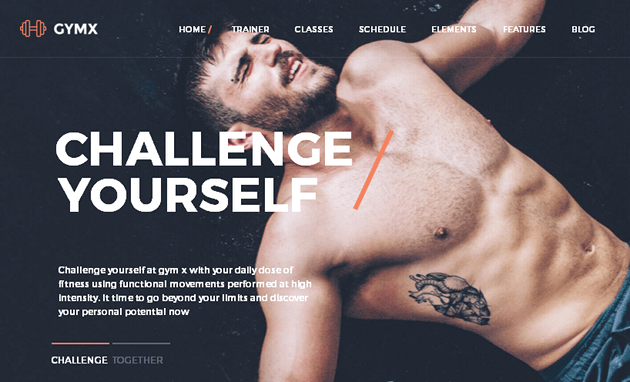 Gym & Fit is a fitness theme that comes with four homepage demos, two of which feature the same layout in different styles. You’ll be able to showcase your trainers, services, blog posts and more no matter which style you go with. 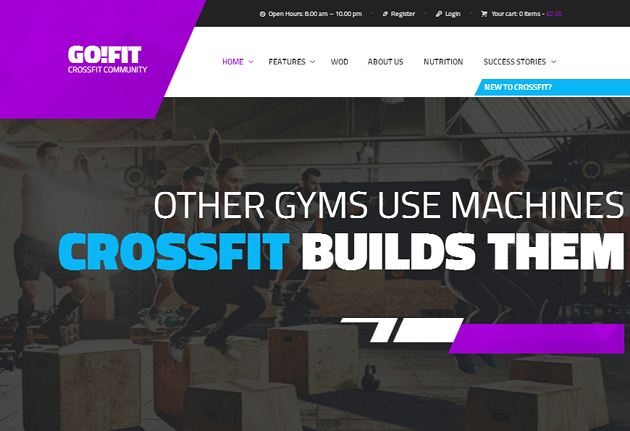 Gym X is a simple fitness theme that features a modern style and a layout optimized for business. It’s highly customizable, and it allows you to showcase your services and pricing. 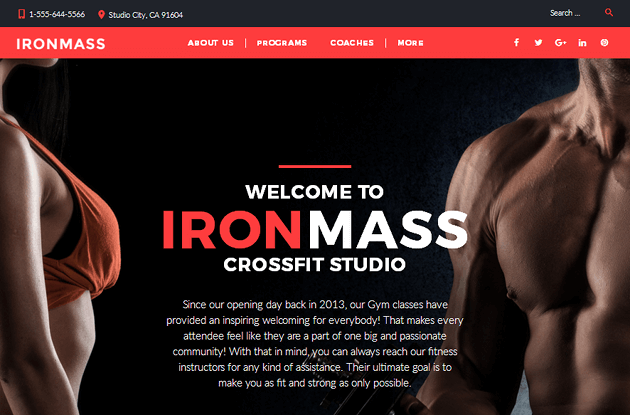 IronMass is a general fitness theme ideal for gyms and fitness clubs, such as crossfit clubs. It uses a basic business layout that allows you to showcase calls to action, your classes and programs, and more. LifeFitness is a multipurpose business theme ideal for gyms, fitness clubs and yoga studios. 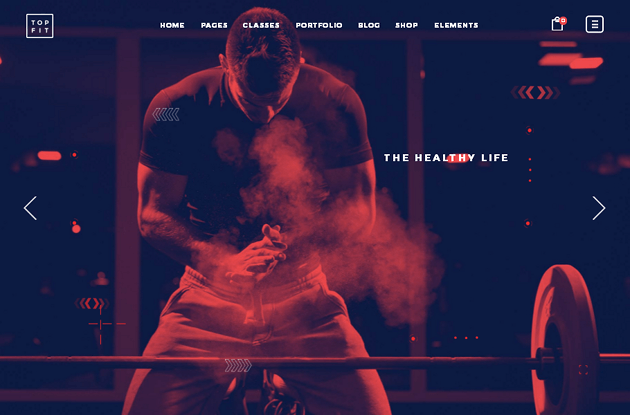 It comes with three homepage demos, one of which is designed for crossfit. It allows you to showcase your classes and pricing. 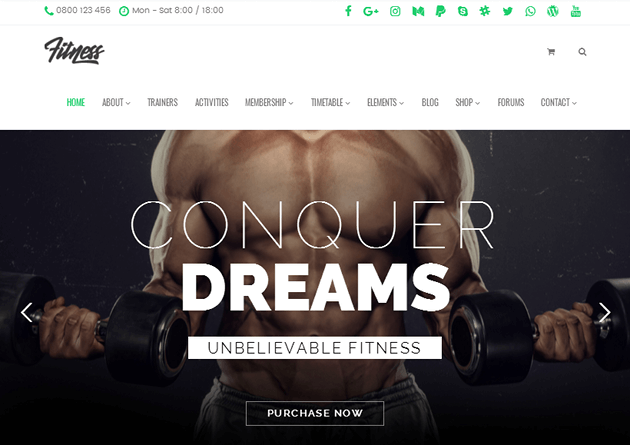 qCumber is a multipurpose business theme that comes with a variety of different homepage demos for different industries, including the fitness industry. It comes with a crossfit demo that allows you to showcase your business on the homepage. GoFit! 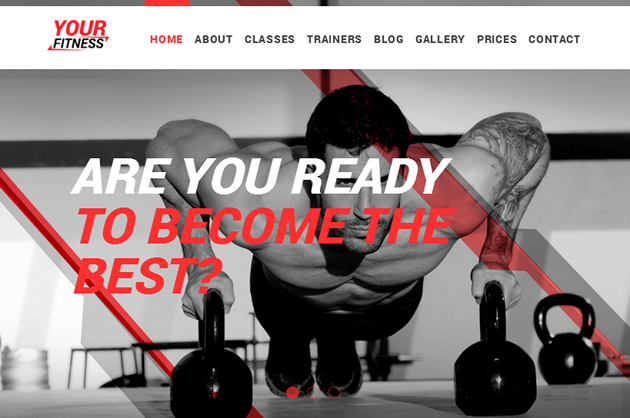 is a fitness theme designed specifically for the crossfit niche. It comes with multiple homepage layouts, but each one is optimized to showcase your gym’s best features and pricing. CrossPower is another multipurpose fitness theme that can be used by a variety of different gyms, clubs and studios. It uses a modern style and a layout optimized for business with sections for pricing, the classes you offer, a BMI calculator and more. Fitness is another gym and fitness theme that can be used by different niches in the fitness industry, including gyms and supplement shops. It comes with sections that showcase your gym’s schedule, trainers and more. Sportify is a multipurpose fitness theme that can be used by a variety of different businesses in the fitness industry. It comes with a BMI calculator and allows you to showcase your trainers on the homepage. 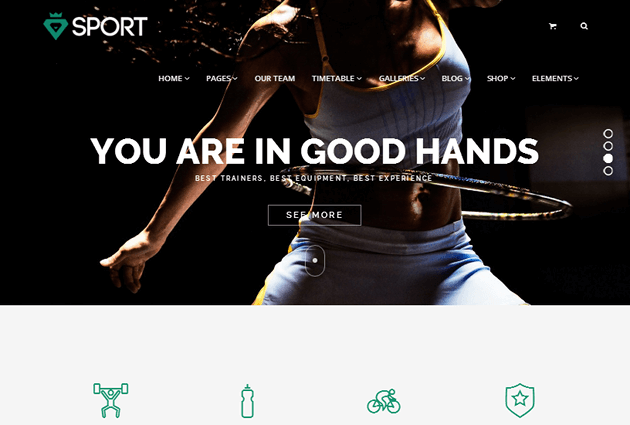 Sport Trainer is a fitness theme that comes with a business-optimized layout that can be used by any fitness business, including crossfit gyms. It comes with pre-made layouts for different pages. Gym is a general gym and fitness theme that can be used to showcase your gym’s top services and programs. It comes with a customizable design and a timetable to showcase your gym’s schedule. 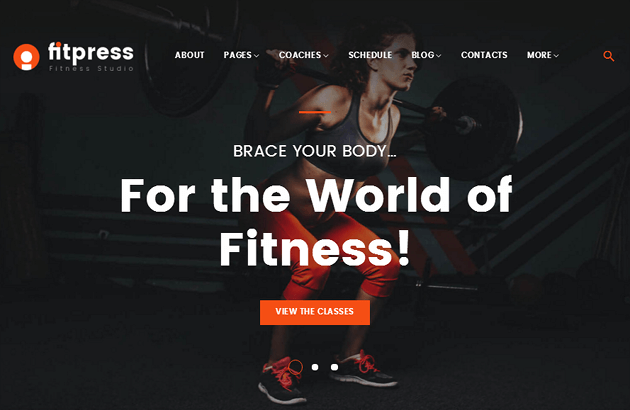 YourFitness is a true multipurpose fitness theme that can be used by businesses, bloggers, personal trainers and more. Its business-optimized features allow you to showcase your classes, programs and trainers. 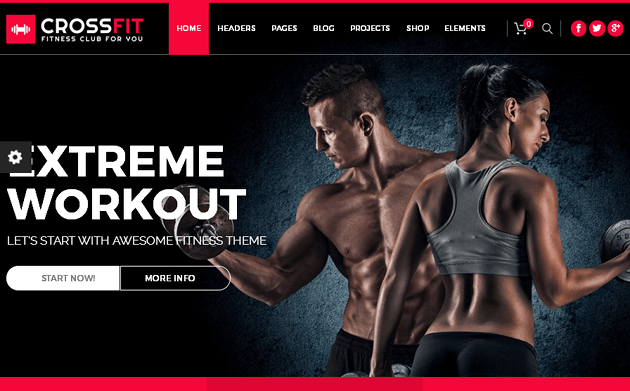 Fitness is a modern gym and fitness theme that uses several elements on the homepage. This includes sections for your services, classes, gallery, sponsors and more. It also comes with a timetable to showcase your schedule. 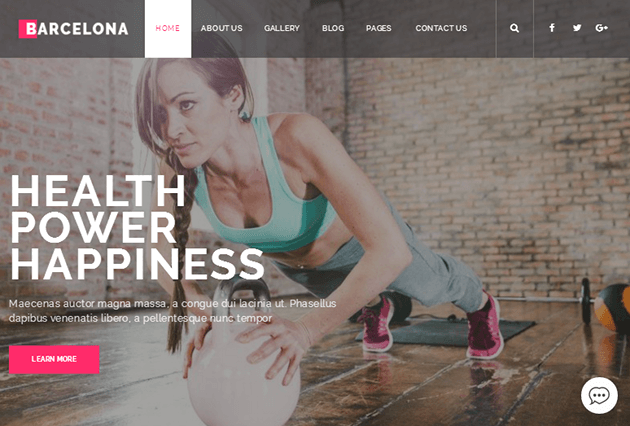 Barcelona is a modern fitness theme capable of being used to build websites for a variety of different fitness businesses. 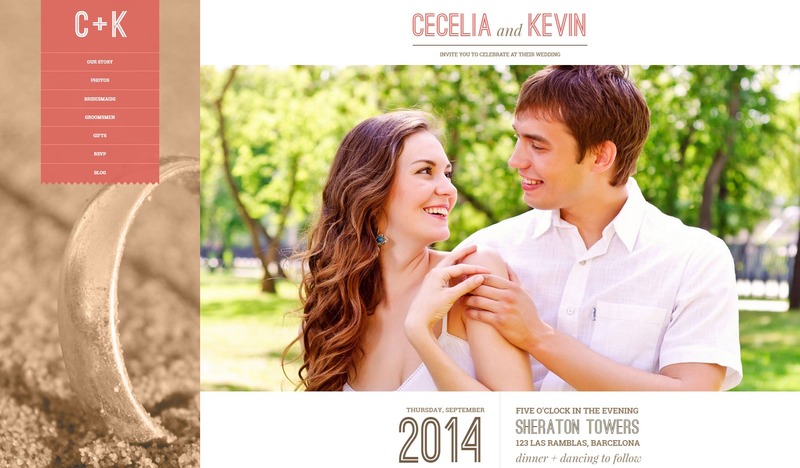 It comes with sections to showcase the classes you teach, the programs you offer, your gallery, blog posts and more. 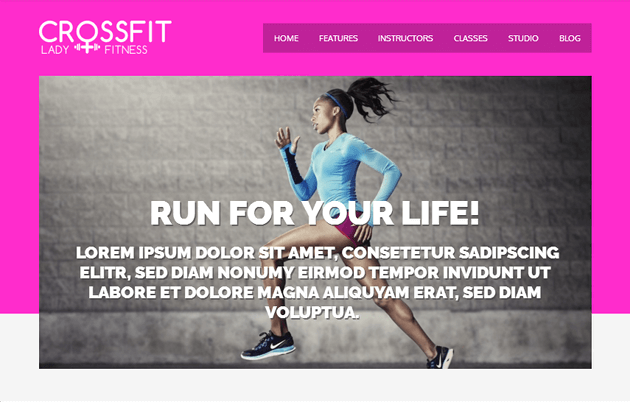 Crossfit is a simple fitness theme that uses a simple style and layout, but it features a well-designed layout. This layout showcase’s your gym’s classes, trainers, testimonials, galleries and more. In Shape is a multipurpose business theme designed for a variety of different fitness businesses, from gyms to personal trainers. It allows you to showcase the services and programs you offer. 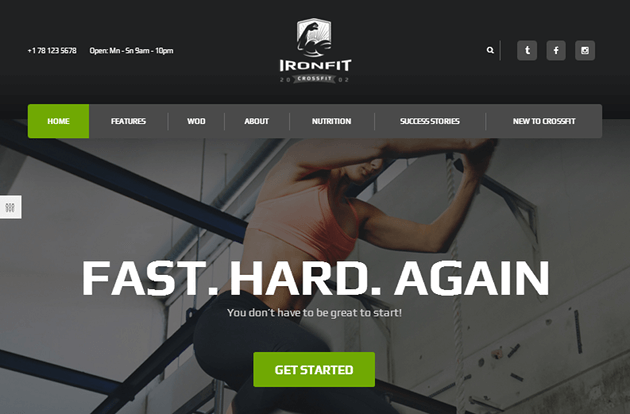 Ironfit is a simple fitness theme that uses simple styles, but it still comes with every feature you need to showcase your business’ best features effectively. This includes the classes you offer, your pricing and more. The crossfit themes in this collection are all very similar to one another, so it can make it difficult to narrow things down to a specific selection. If you’re a developer, think about your clientele. 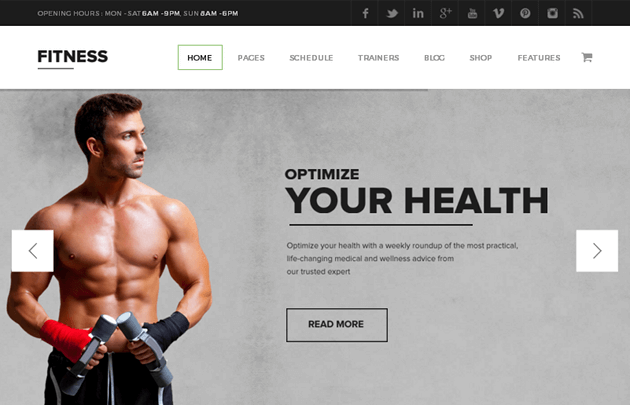 Do you get a lot of clients who need fitness websites built? If not, you may want to steer clear of themes that come with a number of different demos and features intended for every little niche in the industry. Other than that, it’s simply a manner of considering what features you or your client needs to showcase to acquire new students. Narrow the list down to a select few that have those features, and consider their styles and what additional features they offer to make your final selection.